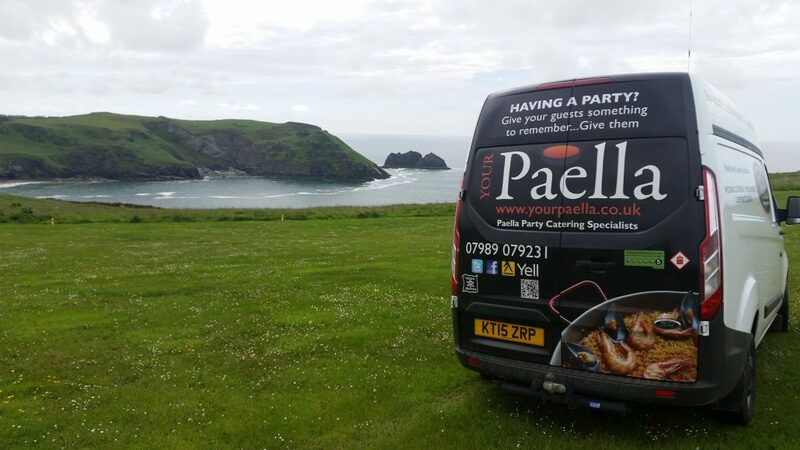 It seems that a lot of people who are looking for a Paella Catering Service for their Wedding, Party or Corporate Event are using the search term Paella Van. Notice the green box with the word AD that the red arrow is pointing towards. That’s a paid online ad and if you click it, it will cost the company that has hosted it anything from say 50p to a few pounds! At Your Paella we provide delicious cost effective Paella Catering for all sorts of Party’s. Weddings, Birthday Party’s, Corporate Events. We have even cooked Your Paella at a funeral. So when someone has searched Paella Van Google will send them to us. Do we use a Paella Van? The answer is yes and no. We use a large van to transport all of the equipment needed to cook Paella’s at an event but we use a 3M X 3M white pop up shelter and place everything we use inside. 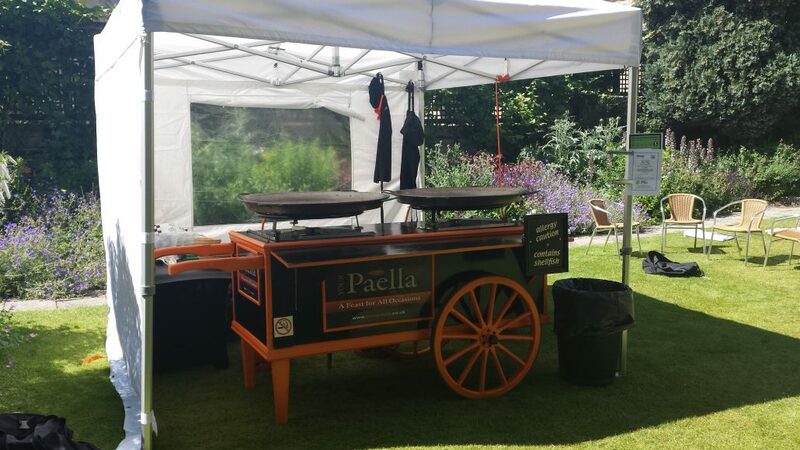 That includes our famous Paella Cart! So now that you have found Your Paella, why not get in touch and find out what we can provide for you and your guests? We cook fantastic tasting Paella, Tapas, Spanish style canapes and more! You can Contact Us here or call us on 07989 079 231 and we will be happy to discuss your Catering needs. With over 100 5 STAR online reviews, your guests will be glad you did! 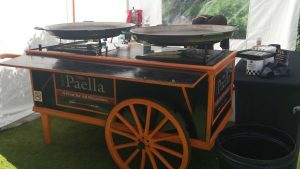 Paella catering in Manchester and surrounding areas has been a lot of FUN! The good people of Manchester know how to have a great party and we always enjoy catering for party’s in Manchester and surrounding areas. 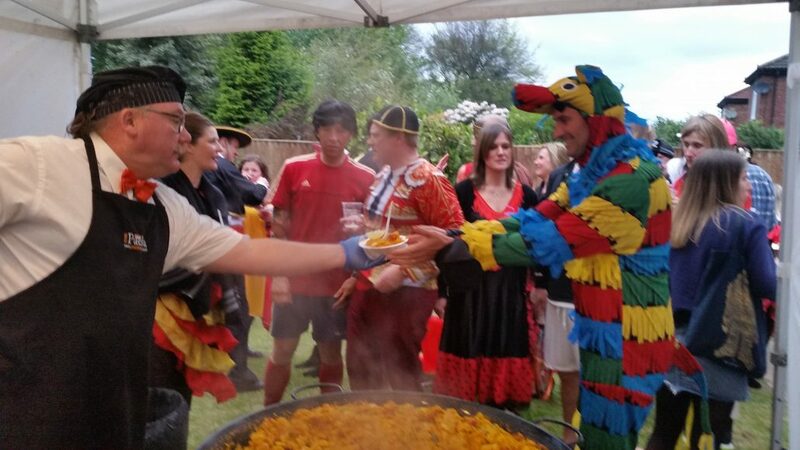 Your Paella cover the whole of the UK and we have cooked Your Paella at every kind of wedding, party and event but so of the party’s in Manchester have been very memorable. Now if we remember those party’s with all the party’s we cater for that must have been amazing for the guests and we always congratulate the hosts when they have spent so much time and effort into a party! 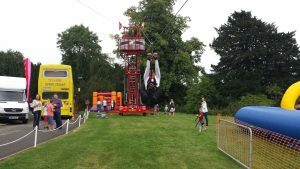 One of the Paella party’s that we had the goofd fortune to cater for even had a mobile zip wire! Needles to say I never had a go on it lol. I know what a coward but hey I was there to cook and serve! So when you are looking to book a caterer for your next special party or event, give us a thought. We cook delicious Paella’s with our famous “Paella Cart” and add that wow! factor for you and your guests! Street food style catering for party’s, events and weddings. Street food style catering has become very fashionable for weddings, garden party’s and events. Although some street style caterers are better than others! 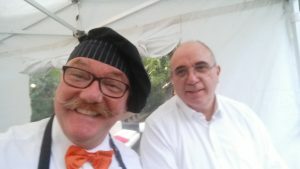 So what should you be looking out for when trying to hire the catering services of a street style caterer? Its very easy to find out if that has been done, just contact the local council of the caterer and ask them or you could even ask the caterer as they will have a star rating with paperwork to show you. The star rating goes from 0 to 5. 5 is very good and 0 is bad! Here at Your Paella we hold a 5 star rating. So what else should we need to know before we agree to hire a street style caterer? You should find out if the street style catering trader has public liability insurance. This is very important for a few reasons. Firstly any business that doesn’t have public liability insurance I would find very suspect. Its good business practice to hold good insurance. Another reason to check the public liability insurance is for peace of mind should something go wrong, not only for you but for the business owner too. Now you have established the street style caterer has a food hygiene rating and insurance you should ask to see some of their past clients reviews. Don’t just take the street style caterers word that their food is the best in the world, ask if they can provide you with past clients for a review. At Your Paella we ask our past clients to write an independent review on the www.yell.com website and always encourage potential clients to go to Yell.com and search “Your Paella” “Northants” If a street food style caterer has a good reputation they will be happy to share this with you, if not well I’m sure you can see that they may try and avoid the subject. Now you should be better prepared to hire a street food style caterer for your special day. We at Your Paella hope you have a very successful event we are happy to give you any other information or even a free no obligation quote to serve delicious Paella’s for you and your guests. You can contact us if you click here. Tapas for weddings and party’s. Your Paella having fun cooking at a small garden party. 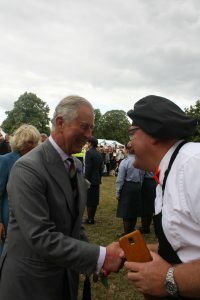 https://www.yourpaella.co.uk/wp-content/uploads/2014/07/Tim_and_Flo_268.jpg 427 640 Gary Evans https://www.yourpaella.co.uk/wp-content/uploads/2019/01/logotrans1-300x106-300x106.png Gary Evans2016-06-09 11:20:382017-06-11 22:01:21Street food style catering for party's, events and weddings. 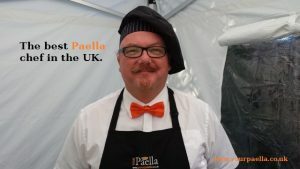 Formed in 2011 Gary and his team of Paella chef’s cover the whole of the UK providing a first class Paella catering service for any size party or corporate event. 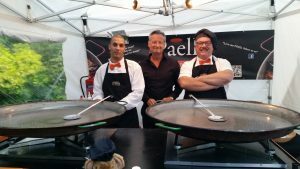 We asked Gary about some of the experience’s and useful information he can give when it comes to booking a Paella for an event. “In my experience the one thing that people seem to get wrong is the amount of food they order and not just from us. 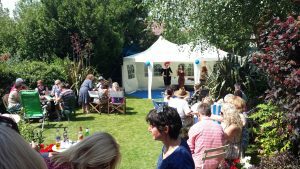 Many times we have turned up at a party and the host have booked us for say 100 guests but have also booked a Hog Roast to be served at the same time. Now that’s fine if you have 200 guests to feed but when there are 100 guests it leads to a lot of waste. “We do get a few people trying to book us last minute due to the fact that the catering company that they first booked has let them down. Its always a good idea to get as much information about the catering company you intend to hire before you go ahead and book them. 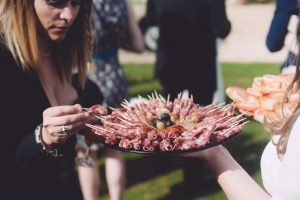 “We get a lot of weddings, sometimes we provide the main meal with Tapas starters or canapés and desserts, that type of thing or we are booked for the evening meal. Paella is great in both cases. “We are happy to provide a free no obligation quote. 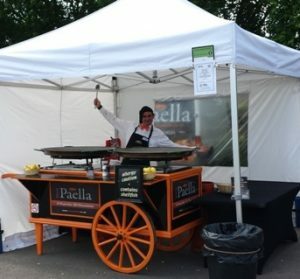 Just go to our website www.yourpaella.co.uk to check us out and if you’re interested you can fill out the simple contact form or call us on any of the phone numbers on the website. We are happy to answer any questions you may have. https://www.yourpaella.co.uk/wp-content/uploads/2017/05/your_paella_own_your_own_business.jpg 540 960 Gary Evans https://www.yourpaella.co.uk/wp-content/uploads/2019/01/logotrans1-300x106-300x106.png Gary Evans2015-09-01 10:43:202017-06-11 22:08:53Paella Chef. Discuss your event with us today! © Copyright 2011-2019 Your Paella. All rights reserved. Your Paella ® is a Registered Trademark.